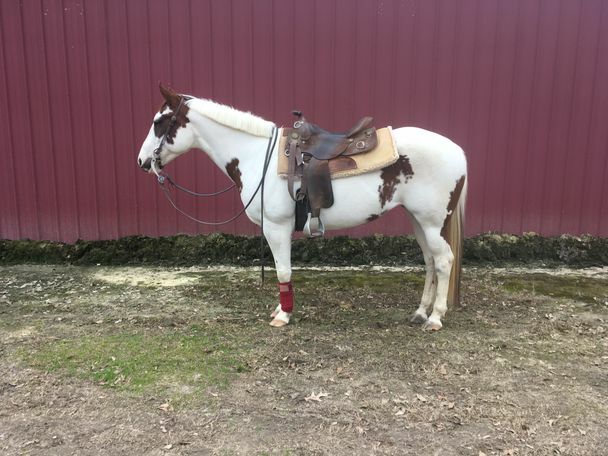 Flashy mare ready to be shown! Could go in multiple directions and disciplines. 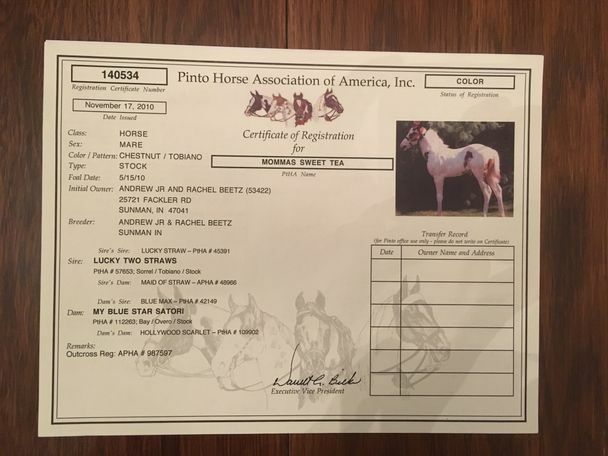 "Mommas Sweet Tea" aka "Tia" is ready for her new home. 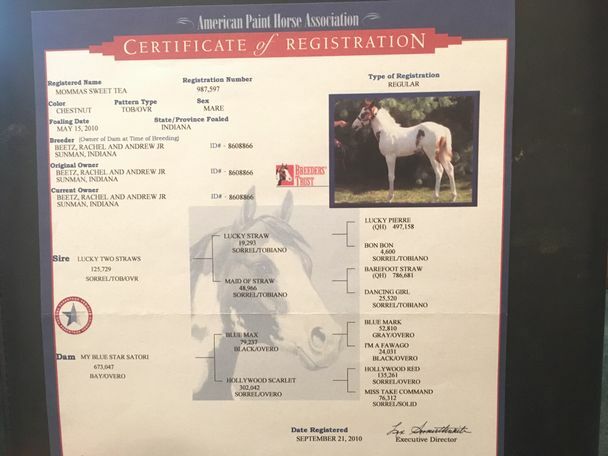 She is double registered APHA/PtHA She has been shown at the Pinto World as a yearling in halter, longe line, and showmanship (she was a finalist at the world show as a yearling in showmanship). She has also been shown more recently in riding classes in open shows. She has been with a trainer the past 3 months. 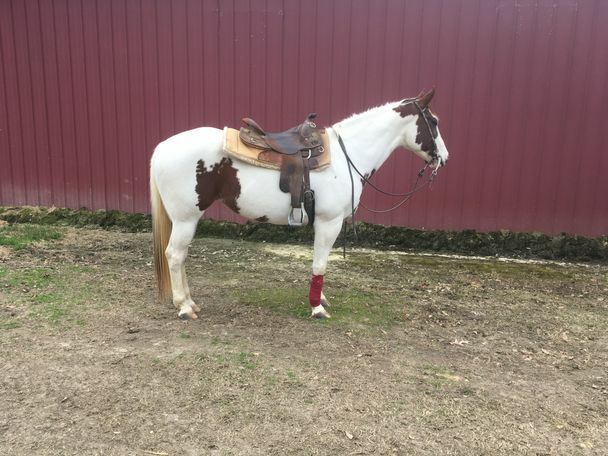 She would be great in multiple disciplines such as open shows, horsemanship, showmanship, ranch riding, walk/trot, 4-H, and could even be used a lesson horse in the right program. She does well on trails. Loads, clips, stands for farrier, sound, no vices. Up to date on all vaccines and coggins. Does have a scar on the front of the left hind hock from an old laceration but has no lameness or loss of range of motion. She is solid with walk/trot but the lope still needs a little work and her price reflects that. I am selling due to a change of riding discipline.